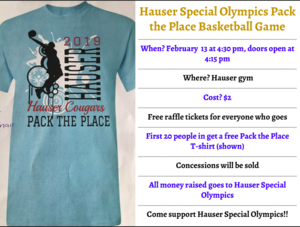 Special Olympics Pack the Place - Rescheduled! 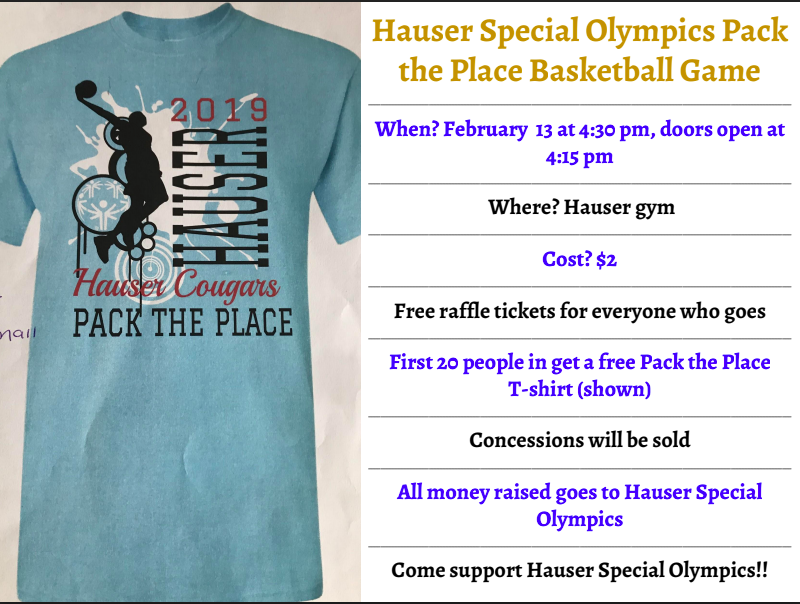 The Special Olympics Pack the Place Game is Rescheduled for Wednesday, February, 13th at 4:30. Admission is $2. All students will be entered in a raffle to win a prize. The first 20 students will receive a free T-shirt.